We'll get to know you very well over the course of your pregnancy, it's only fair you get to know a little bit about us as well! 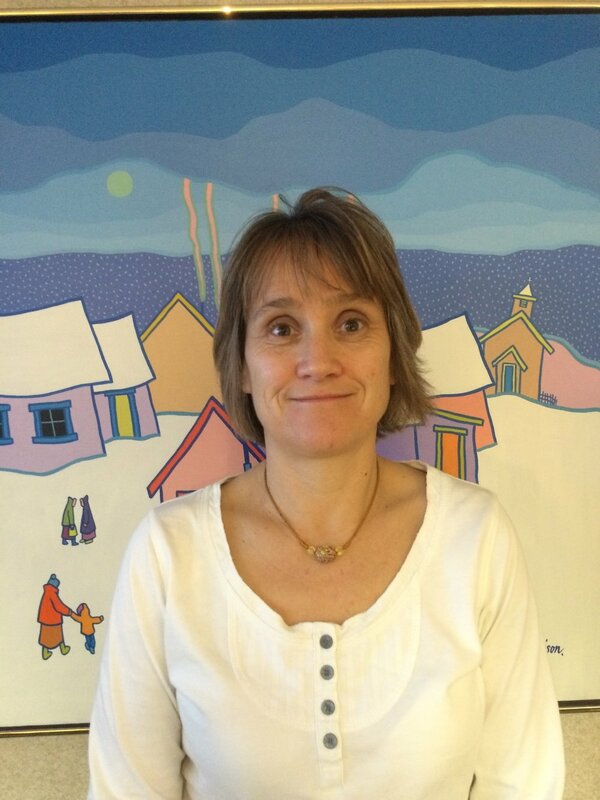 Receiving her medical training in Edmonton, Susan first came to Whitehorse as a Medical Student in 1986, then as a Family Practice Resident in 1989, and has been a family doctor at Whitehorse Medical Services ever since. She enjoys her practice with Sage Maternity and has a special interest in newborn care, sitting on the Maternal Newborn Committee at Whitehorse General Hospital. She has served the Village of Teslin with regular doctor clinics since 1998 and has worked in South America after receiving her diploma in Tropical Medicine. She and her husband share their love of Yukon hiking, paddling and music with their two children. Rebecca attended medical school at McMaster University, and completed family medicine residency through the Northern Ontario School of Medicine in Thunder Bay Ontario in 2013. She moved to Whitehorse in 2014 to practice family medicine and obstetrics in a shared practice with Dr Stephanie Buchanan at Whitehorse Medical Services. She also provides monthly clinics in the community of Carmacks. She and her husband and young daughter are dog mushers who live on a small hobby farm, which consumes the majority of free time outside of work. If time allows, other passions include running, mountain biking, canoeing, hiking, camping, skiing, bow hunting and fishing. Sarah went to Medical school at the University of Saskatchewan and completed her family medicine residency at the University of Alberta's rural program in Grande Prairie. She came to Whitehorse for short stints in 2014 and 2015 but fell in love with the North and moved back for good in March of 2016. In addition to providing maternity care, she shares a practice with Dr Johanna Rockenstein at Whitehorse Medical Services and enjoys working a few days a month in the Emergency Room and the OR. She and her husband spend their free time hiking, backcountry camping, mountain biking, snowboarding and, true to Yukon life, learning how to paddle. Rachelle is a born and raised Yukoner and is thrilled to be back home working in the Yukon. She left the territory for 10 years to complete her Bachelor of Science at UBC followed by medical school at Memorial University in Newfoundland. She then went on to complete her family medicine residency at the University of Alberta. In addition to providing maternity care, Rachelle currently shares a family practice with Dr Himmelsbach. Rachelle is bilingual and does her best to provide medical services in both English and French. In her spare time, Rachelle loves to cook and spend time with her husband and young daughter. Stephanie moved to the Yukon in 2003 having fallen in love with the north during an elective in her residency out of the University of Calgary. She joined forces with Dr Cindy Breitkreutz at the Whitehorse Medical Clinic for the next 10 years enjoying obstetrics as part of her practice. Currently, she is sharing her family practice with Dr Rebecca Barnes who joined in 2014 and continues to enjoy obstetrics and a full family practice. Stephanie also loves her bikes and exploring the north with her family. Johanna was born and raised in Elma, Manitoba. She completed her medical school in Winnipeg and went on to do her family practice residency with a rural and remote focus in Newfoundland and Labrador. She has been working at Whitehorse Medical Services since December, 2014 and has started a practice with Dr. Sarah Biss in February, 2016. She is an avid knitter and enjoys skiing, biking, climbing and camping with her young family.